In recent years, federal education legislation has placed an increased emphasis on assessment in schools. 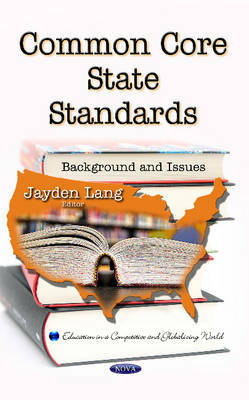 Perhaps most notably, Title I-A of the Elementary and Secondary Education Act, as reauthorized by the No Child Left Behind Act, has required all states that receive Title I-A funds to test all public school students annually in grades three through eight and once in high school in the areas of reading and mathematics. In response to this requirement, all 50 states and the District of Columbia have adopted and implemented standards that meet the requirements of the ESEA. Three major changes have taken place that have possibly played a role in the selection of reading and mathematics standards by states: the development and release of the Common Core State Standards; the Race to the Top (RTT) State Grant competition and RTT Assessment Grants competition; and the ESEA flexibility package provided by ED to states with approved applications. This book provides a framework for understanding various types of assessments that are administered in elementary and secondary schools; examines each of the aforementioned changes and discusses how they are interrelated; and discusses various purposes of educational assessment and describes comprehensive assessment systems.